You don't need to be a fortune teller to predict that it will get intense, hectic and highly exciting as Portugal will host Sweden in the first of two decisive World Cup qualification matches. Two of the worlds best football players will go head to head, and we take a look at the battle within the battle: Zlatan Ibrahimovic versus Cristiano Ronaldo and none the least the Vapor IX CR7 versus the Vapor IX Hi-Vis. When considering how the two football artists are playing currently, it is hart to imagine that tonights match will not be entertaining. Both Zlatan and Ronaldo are in fine form, and are on a weekly basis fighting to outdo each other in terns of out of this world football skills in Paris Saint-Germain and Real Madrid. Tonight they will have to opportunity to fight head to head, and in addition to being a duel between two of the worlds best footballers, it will also be a duel between two world class boots. 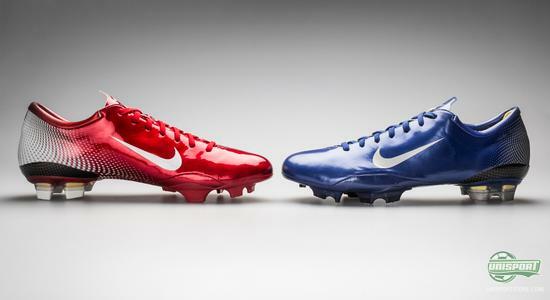 Cristiano Ronaldo's new Nike Mercurial Vapor IX CR7 will go head to head with Zlatan Ibrahimovic's Nike Mercurial Vapor Hi-Vis. 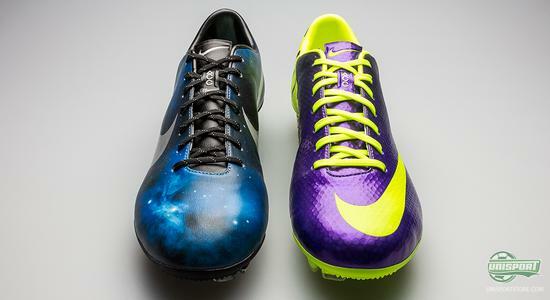 Although both boots answer to the name Mercurial Vapor IX there are still notable differences; especially regarding the upper. 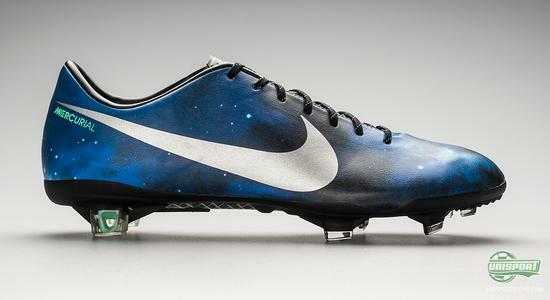 Cristiano Ronaldo's signature boot, the Nike Mercurial Vapor IX CR7 has an upper made by the Japanese specialists from Teijin, who have provided a leather emulating synthetic upper for the Portuguese star. 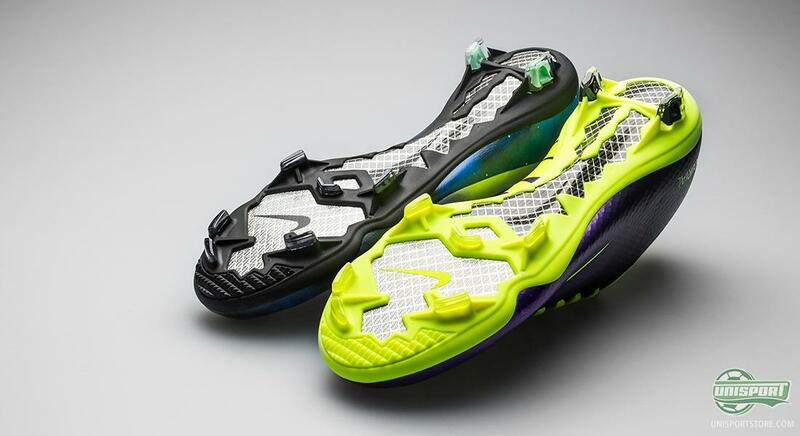 For Zlatan Ibrahimovic and the Nike Mercurial Vapor IX Hi-Vis, Teijin delivers once again, and this time around it is exactly the same OLM12-synthetic but equipped with the newly developed SpeedControl, which serves to give you increased ball grip in connection with rapid dribbling. 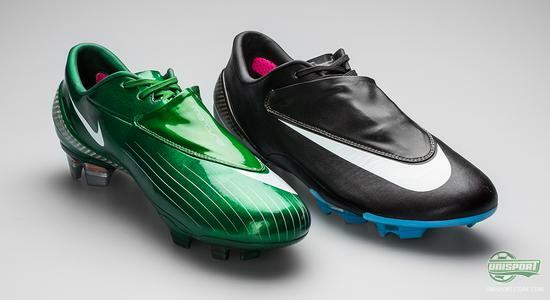 Even if the boots do look rather different, there are numerous areas of the boots that identical. The sole on both Ronaldo and Zlatan's football boots are dedicated to ensure a good pitch grip, but also maximum acceleration and speed. The studs are bladed and made to penetrate the ground and ensure a rapid power transfer, hereby giving both CR7 and Zlatan the optimal conditions to pass an opponent with a quick change of direction. 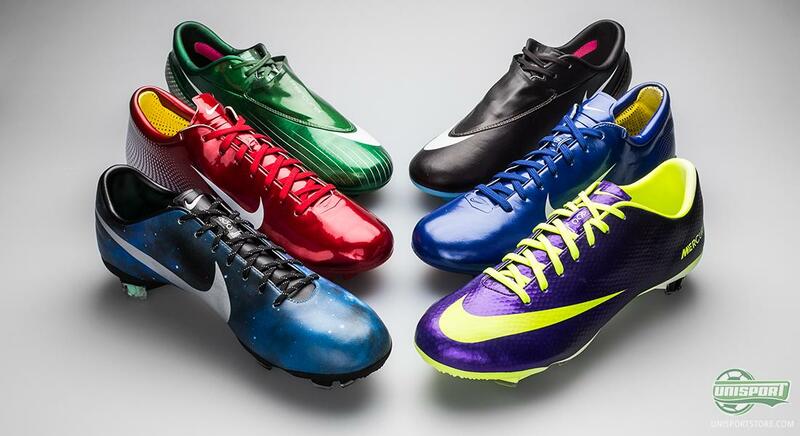 It is not long ago that the new Nike Mercurial Vapor IX CR7 was launched, but it has managed to live up to the great expectations in record time. Nike put out a football boot that does not know boundaries, and with the Galaxy inspired colours on his feet, Cristiano Ronaldo has lately proven that his talent and skill is more or less as eternal as the universe. Anyhow, he has been showing excellent form lately and scored goals as we can count stars in the sky. You can see much more of the Nike Mercurial Vapor IX CR7 right here. Zlatan Ibrahimovic has, for many years, been loyal to the Mercurial series, and therefore it did come as quite a chock when he during the summer switched to the Hypervenom. 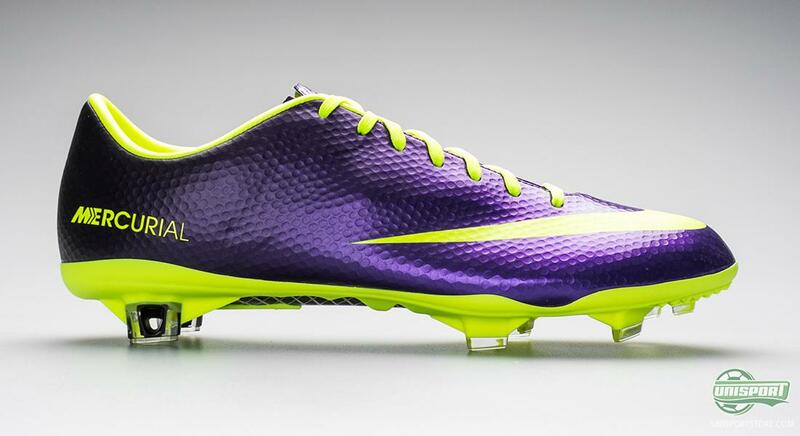 It was, although, a short relationship, and Zlatan has now reunited with the speed boot, Mercurial. 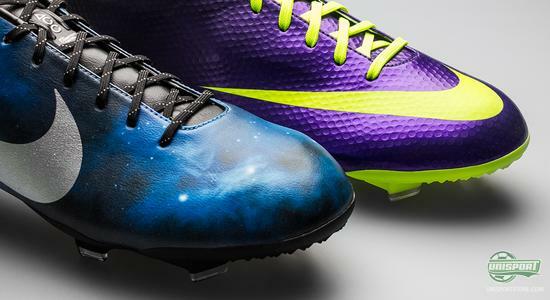 Lately, Zlatan and the Mercurial have also proven why they are such an outstanding couple. Lots of goals, skill and incredible football, has proven that Zlatan is indeed a unique player who lives up to the virtues of the Nike Mercurial Vapor. No matter how we twist and turn it, only one of the two will be able to go to the World Cup. You may also think the Nike are a bit sad as one of their super stars will not be able to show off his boots at the World Cup in Brazil. Both Zlatan and Ronaldo have, otherwise, made for excellent display windows for the Nike Vapor models at numerous previous tournaments. 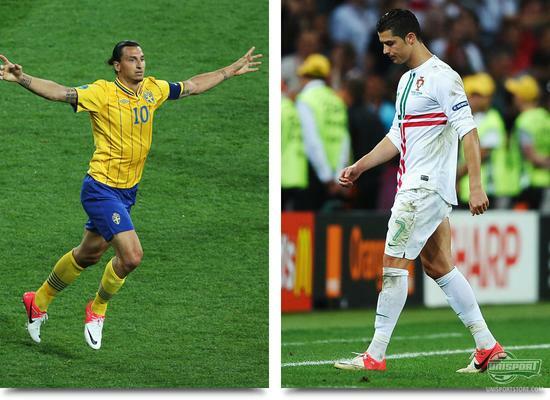 Latest at the EURO 2012, where both Zlatan and Ronaldo could be seen wearing the Nike Mercurial Vapor VIII from the Nike Clash collection, which was launched specially for the EURO 2012. At the World Cup in 2010, Nike and the rest of the world were in the same unlucky situation as now, as we missed a World Cup with both CR7 and Zlatan. Sweden didn't manage to qualify, and therefore Zlatan Ibrahimovic wasn't able to wear the Nike Mercurial Vapor Superfly II in the south American heat. On the other hand, Cristiano Ronaldo did just that, and he did it well with the Mercurial Vapor Superfly II Elite on his feet with the recognisable Silver/Orange colourway that all of Nike's World Cup boots displayed. If we look back in time a more years, we also had quite the Euro Cup boot duel between two Nike boots. Zlatan happily jumped into his Nike Mercurial Vapor SL Brown Bag in Black/ Sky Blue, which would be a part of the trend about specific boot packs for the big international tournaments. Zlatan also wore the SL model of the Vapor IV, which, in addition to the obligatory carbon-fibre sole- and heel counter, also had a leather emulating synthetic upper. The Vapor SL in the Black/White/Blue version, which by the way was never put on the market, but only given to the Nike pro's  which is also why we can 'only' show the Vapor IV edition here. Still a top boot though. While Zlatan was showing off his Mercurial Vapor SL, Cristiano Ronaldo could, exclusively to him in this tournament, pull on another and sharp colourway of the Nike Mercurial Vapor IV; the Green/White colourway. Not long before that, Ronaldo had played scored in the CL-final against Chelsea in his Mercurial SL made of only carbon-fibre  but at the World Cup he was back in his regular Vapor IV. Going even further back to 2006 it was the World Cup in Germany and the home of Adidas and Puma, which provided an excellent opportunity for Nike to show off on foreign turf. They brought the third generation of the Vapor, which for the first time introduced the Teijin synthetic that is soft, thin and supple. It kept the weight at an impressively low 196 grams. The boots, which to this day are still iconic, were launches in a wonderful array of colours and unsurprisingly both Zlatan and Ronaldo picked colours that matched their national kits. Ronaldo picked the sharp red ones and Zlatan chose the blue version, which matched the Swedish kit beautifully. Later on Zlatan did change to the Black/Gold Vapor III, but he played most of his games in the Blue. 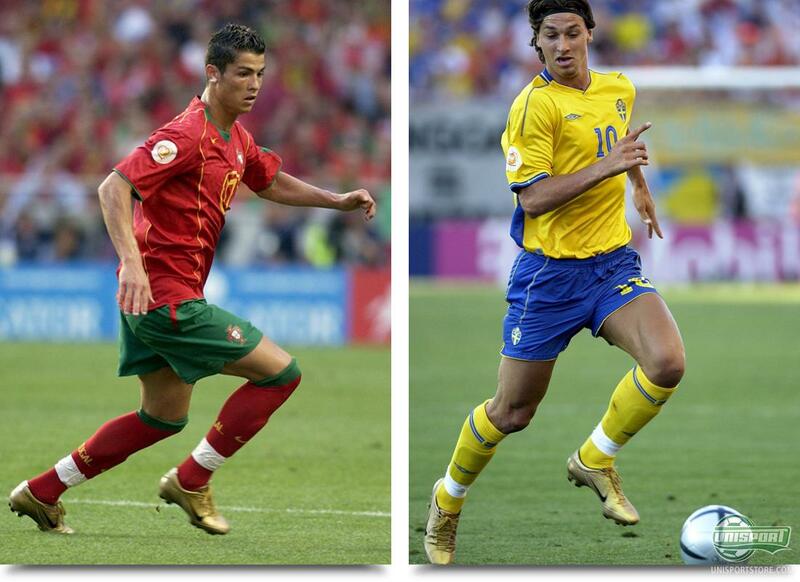 If we turn back the clock, all the way back to 2004, it will be a tournament etched into both Cristiano and Ibrahimovics memory and now fondly. Zlatan scored a magnificent heel goal against Italy, but Sweden were eventually knocked out on penalties by Holland. Ronaldo and Portugal went all the way to the final, but lost in bitter fashion to underdogs Greece. This meant neither of the players got a medal that matched their boots, which was the very flashy Nike Mercurial Vapor II Gold/Black. We would definitely put this down as one of the coolest Mercurial ever, but they were not enough to cheer up Ronaldo, who as some of you remember was rather distraught. 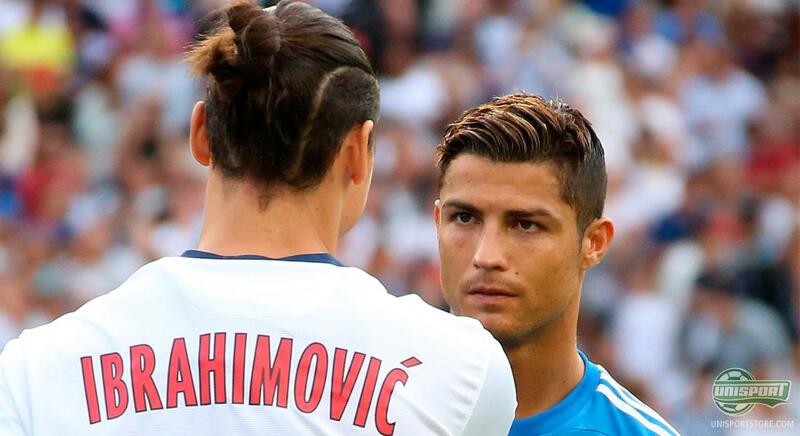 We will only be seeing one of the world icons, Cristiano Ronaldo and Zlatan Ibrahimovic at the World Cup this summer and today will give us the first pointer at who that might be. 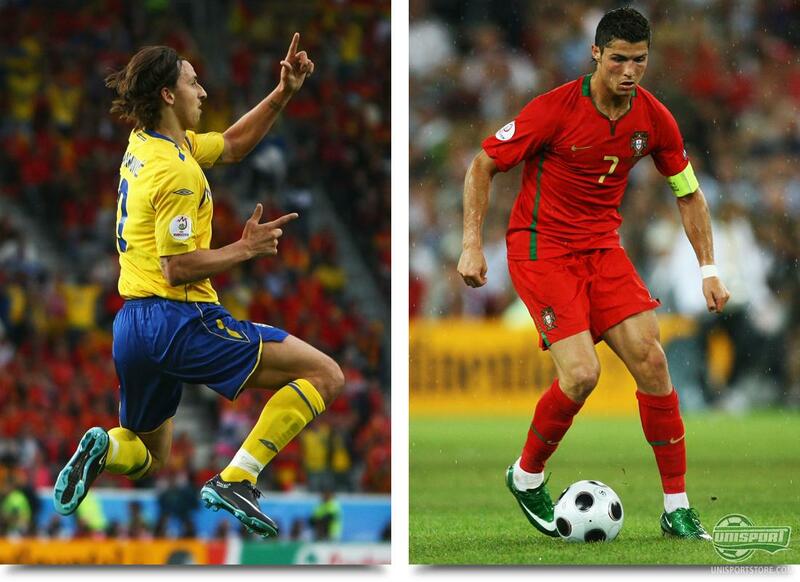 Do you think it will be Portugal and Ronaldo, or Sweden and Zlatan? 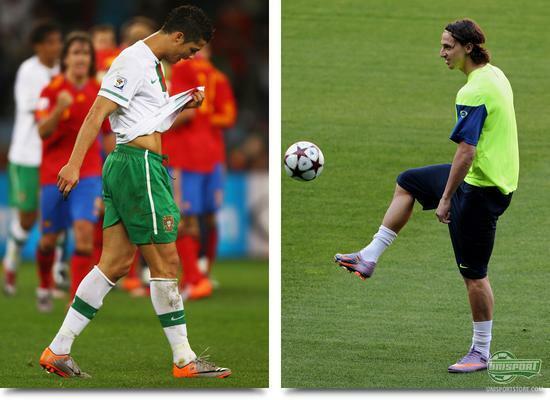 And do you prefer Ronaldos CR7 Galaxy, or Zlatans Hi-Vis? You are very welcome to leave your comment here, or on Facebook and Twitter.